Sometimes going home may feel like a journey. Let us be your luminere. Participating at an all women's hackathon, we wanted to create a solution to a problem that many women face. From this line of thought, Journiere was born. Enjoy the night. We've got your back. No one should feel unsafe, and we're here to change that. 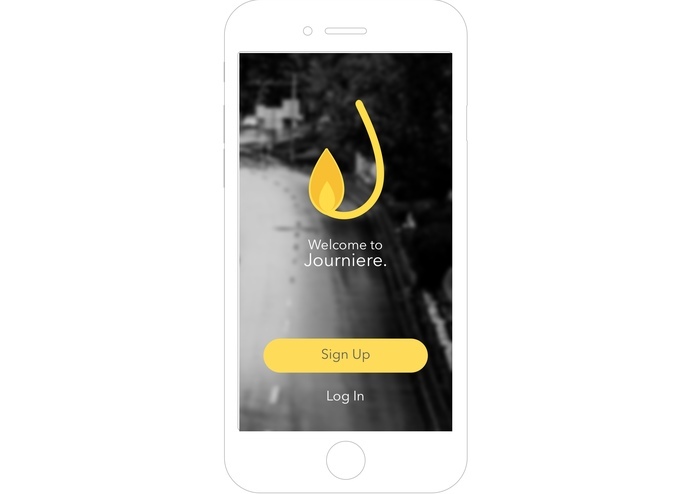 At Journiere, we strive to be a women's safety app unlike any other. We use location services from real time traffic and crime scene data to calculate density in a given area to provide users with a map of the safest walking routes. 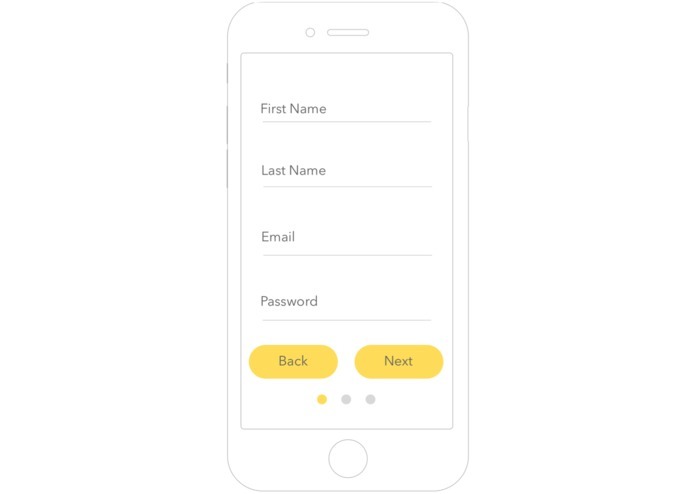 In addition, Journiere incorporates tactics used at bars to provide "safe voice commands" that serves as an emergency alert system for when users are feeling unsafe. 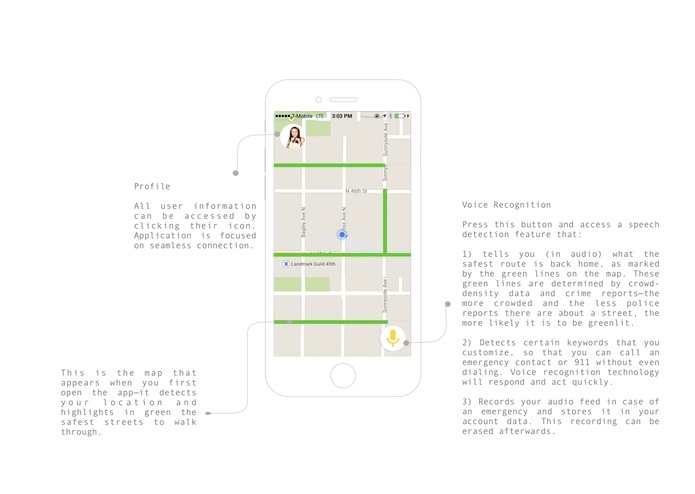 A map, inspired in part by Waze and Google Maps, appears when you first open the app—it detects your location and highlights in green the safest streets to walk through. These green lines are determined by crowd-density data and crime reports—the more crowded and the less police reports there are about a street, the more likely it is to be greenlit. 1) Generates audio feedback that tells you what the safest routes are and marks them with green lines on the map. 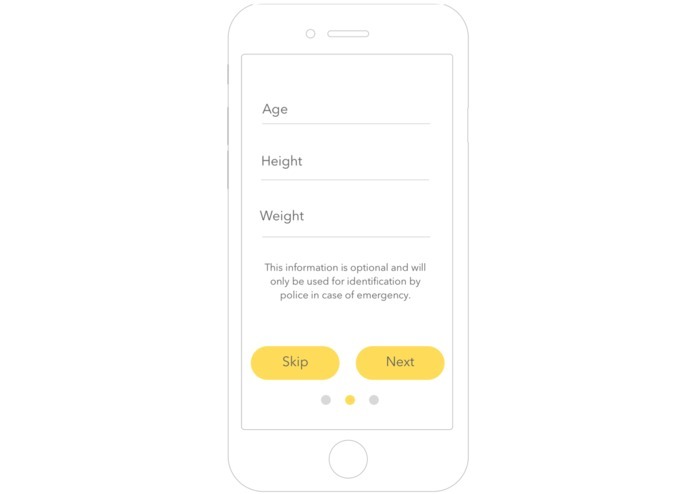 2) Uses voice recognition technology to detect certain user-customizable keywords so that you can quickly call an emergency contact or 911 without even dialing. 3) Creates an erasable recording of your audio feed in case of an emergency and stores it in your account data. We coded in Swift in Xcode. 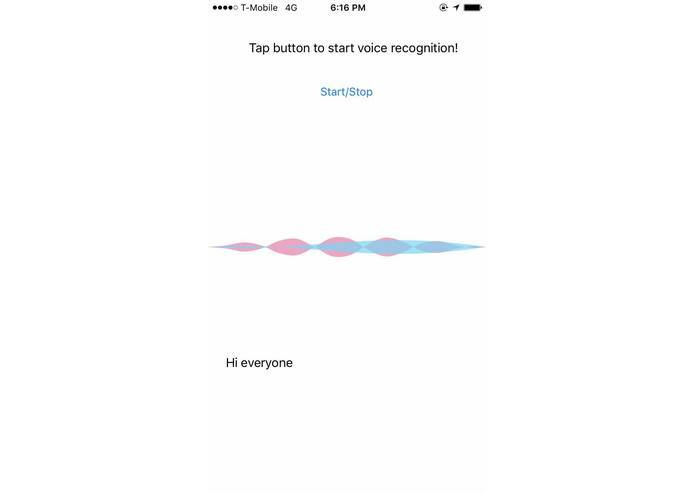 By following this tutorial, we were able to develop the voice recognition aspect of the app. Users are now able to press a button and watch their words translate to on-screen text. Using the Cocoabeans pod, OCWaveView, we were able to add partial functionality to an audio wave form generator that would generate visuals to go along with real-time audio. 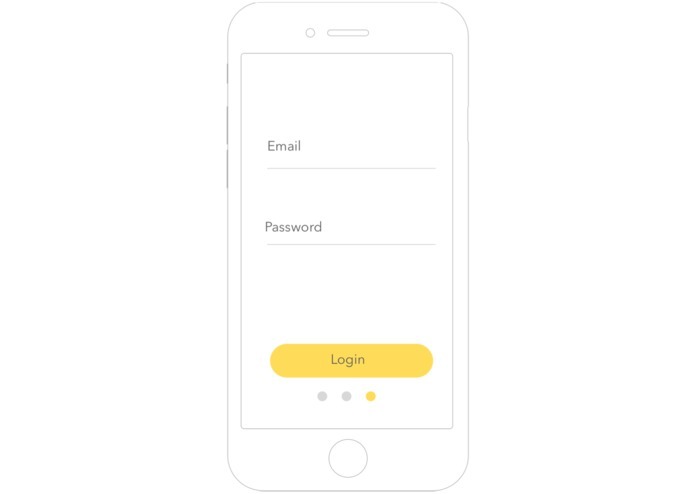 We also used Sketch and Illustrator to create the logo and app design mock-ups. We ran into some issues with downloading different versions of Xcode (version 9 beta vs. version 8.3.3) which affected interpretations of the code. Overall, getting acquainted with Swift was the most difficult part. 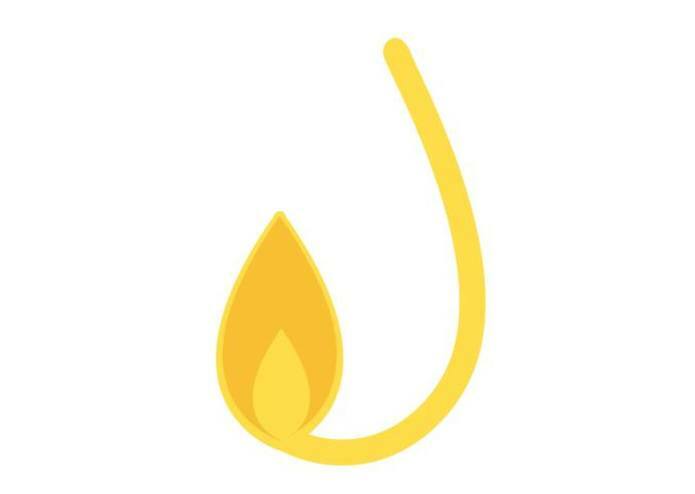 We obtained the domain 'journiere.tech', but due to time constraints, we were unable to publicly deploy in time for the submission deadline. It should be working by tomorrow. We will continue looking at Twilio's API as a way to add keyword calling functionality to the app. Additionally, we aim to create a fully working map to guide users to safety. Worked on voice recognition using Swift. Experimented with the Twilio API to test calling ability. Used Cocoabeans to create audio wave form generator. Created the wireframes, logo, a little bit of the website, and help develop the idea. Helped develop the project idea and configure the .tech domain name, although the DNS settings take a day to update so we ran out of time to do that.